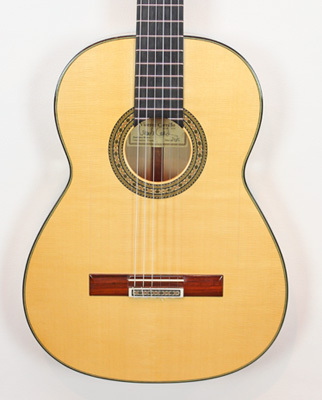 The Vicente Carrillo “Alegrias India” Flamenco Negra has a German spruce, Indian Rosewood back and sides, Ebony fingerboard from Cameron, Cedar neck and Nitrocellulose finish. 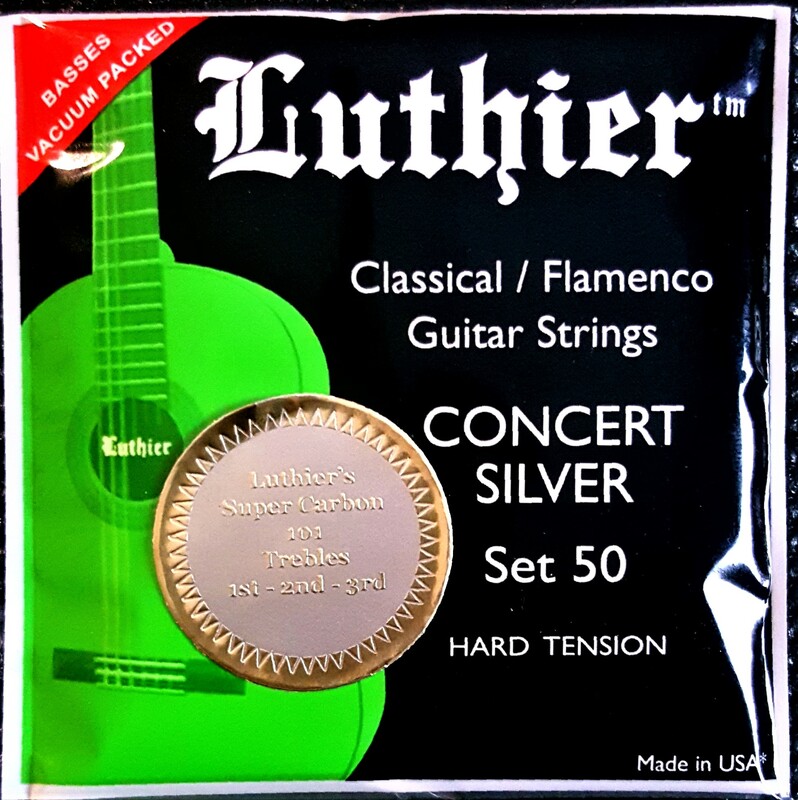 In other words, top of the line materials as found in a high quality Flamenco concert guitar. 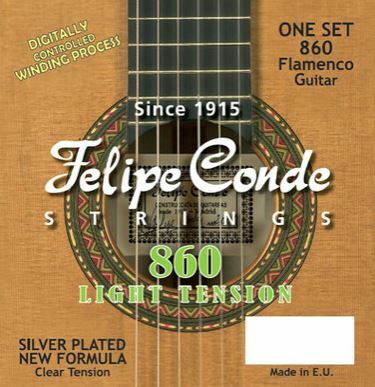 The Vicente Carrillo “Alegrias India” Flamenco Negra guitar, presents great volume and detailed handwork, the basses are powerful and deep, the trebles are crystal clear, bright, and high-pitched. 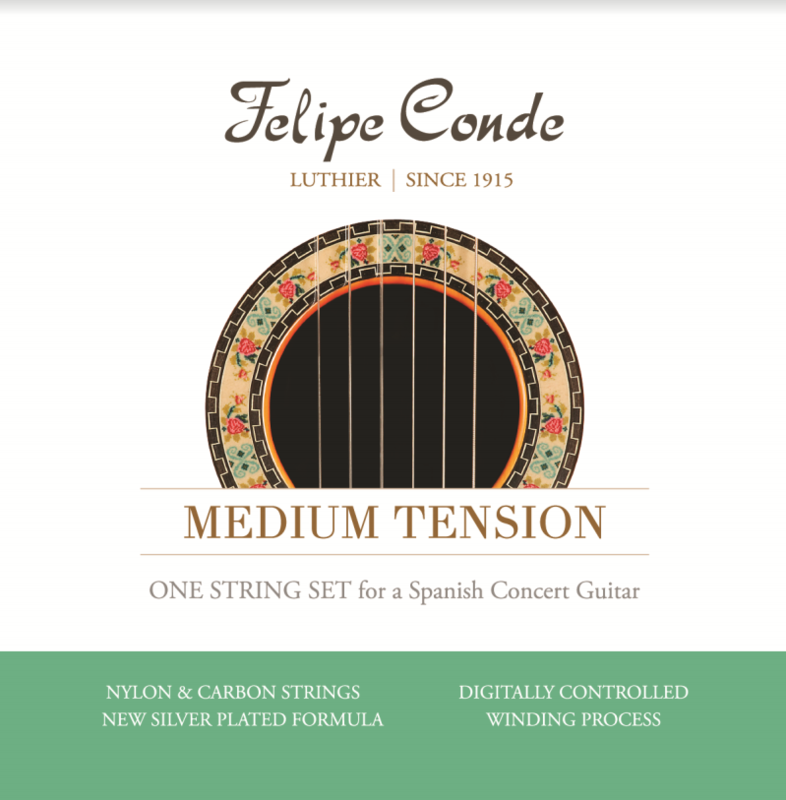 The tension is medium- high , with a reduced strings height (action), providing an extraordinarily high degree of comfort for both hands. 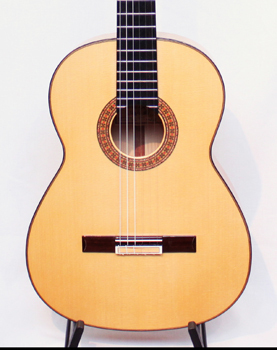 The VC “Alegrias India” is built with the same technique as the Vicente Carrillo 1ª ( primera). 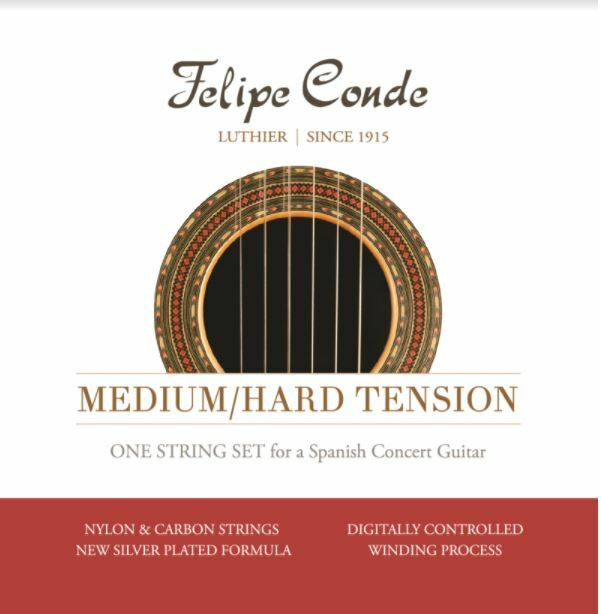 It mirrors the characteristic sound of an excellent professional flamenco guitar with bright trebles, deep basses, powerful volume, with long sustain and impeccable balance. 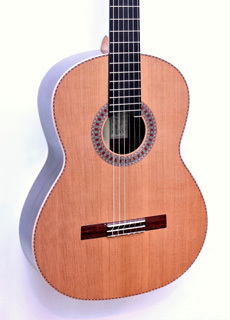 The Vicente Carrillo “Alegrias India”, Flamenco Negra, comes with a Hikox Humi-case Hard shell case and 1 extra set of Luthier Flamenco Strings. This is a great guitar. Handmade by Jorge De Zofia in West Palm Beach, FL. 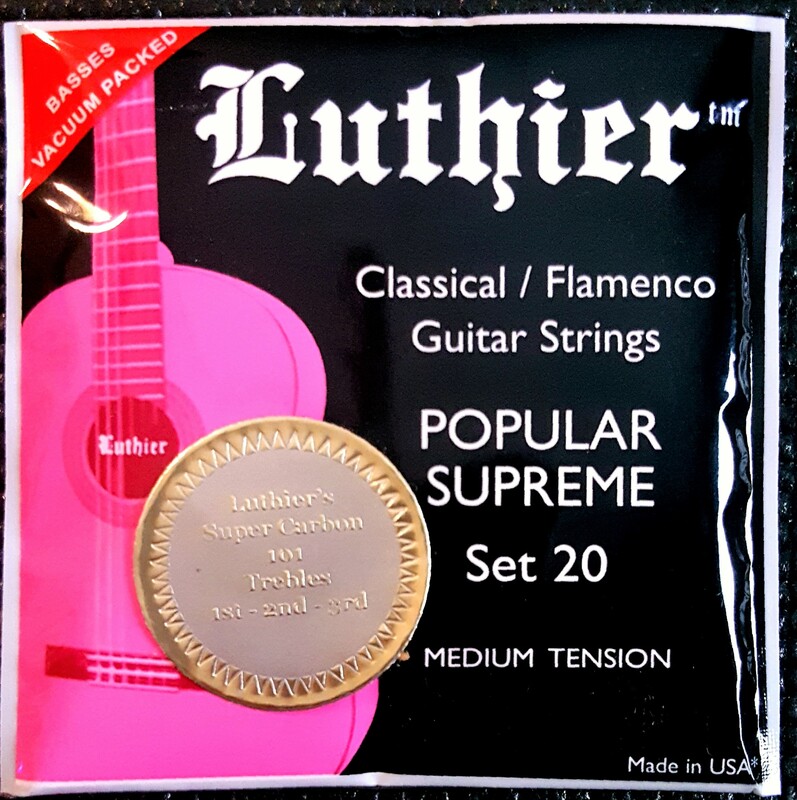 String balance is excellent. Carlos VIP Double Pickup System is one of the most natural sounding systems and was expertly installed by Eric Hansen in Delray Beach, FL. 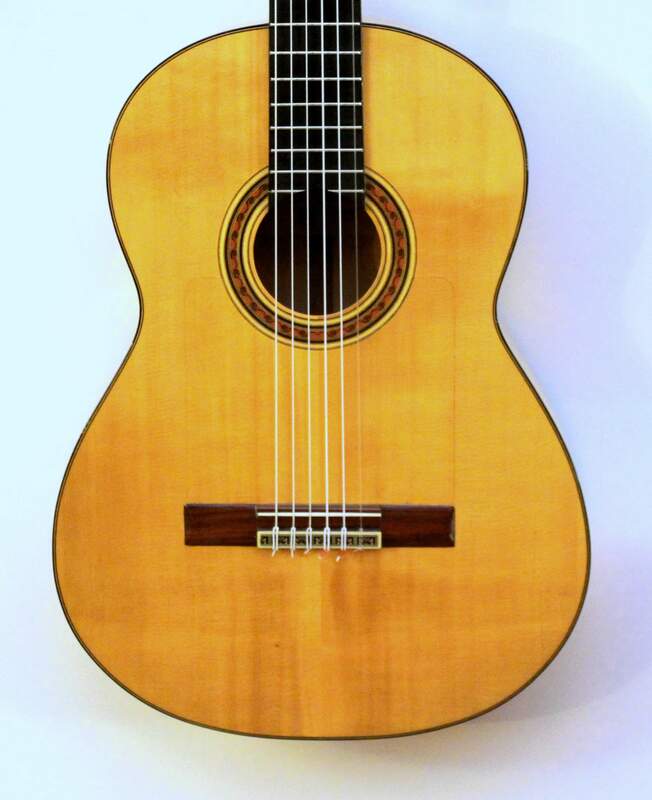 Guitar has no cracks, does show normal playing marks but overall in excellent condition. 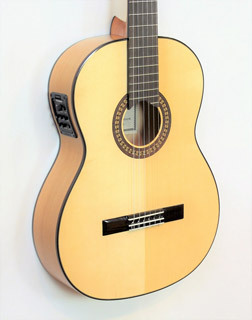 The Granada Rosewood CE guitar has solid Sitka Spruce top, Rosewood Back and sides, Rosewood fingerboard, Cypress purfling, Rosewood Bridge and inlaid marquis rosette. 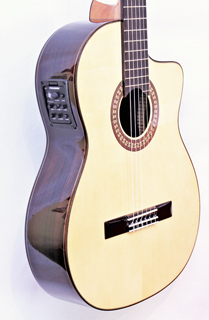 The Granada Rosewood CE has a low action, 50mm /1,96 inches width at the nut, thin neck profile, and truss rod for action control providing a very comfortable string pressure. 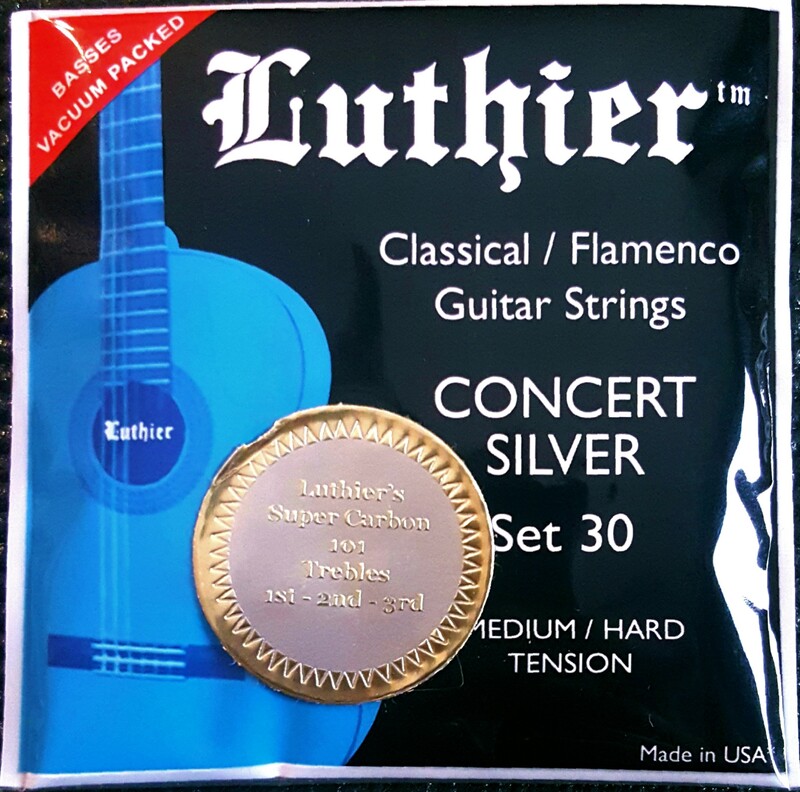 All of the above elements help crossover players, electric & acoustic guitarists, to easily adapt to the new instrument without sacrificing playability. The Granada Rosewood CE has deep basses, crystal clear highs and a Fishman ISI 4 EQ with an incorporated tuner. The Granada Rosewood guitar is made with excellent tone-woods without compromising tonal elements. 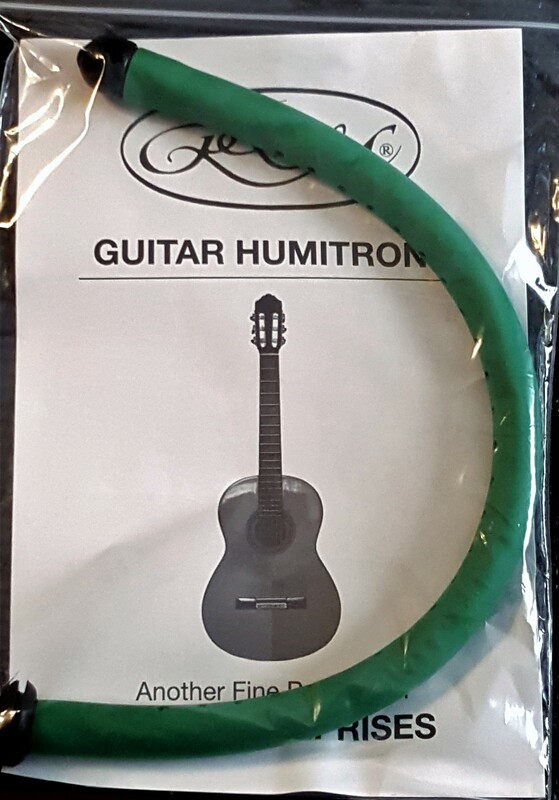 It is ideal for acoustic & electric guitar players in the search for an easy nylon-electric guitar for gigs and recordings. The Granada Rosewood CE includes a GFS hardshell case, Ultimate Guitar Protector, 1 set of Luthier strings, 1 Humitron- humidifier and guitar cloth. 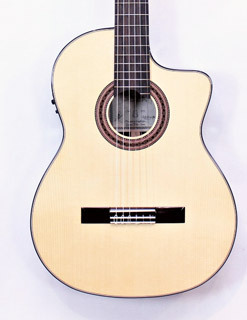 WHY CHOOSE GUITARS FROM SPAIN? Passion makes the world go round. 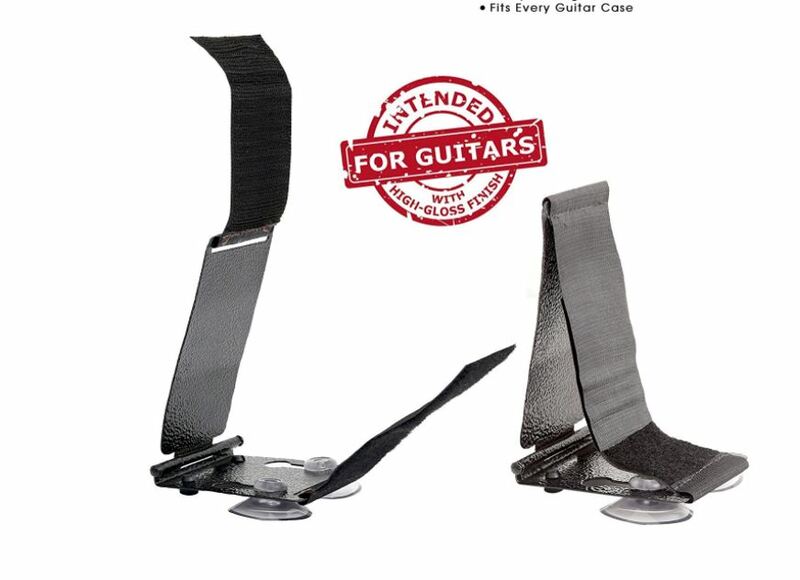 We at Guitars from Spain pour every ounce of care into each and every guitar. As you open your case for the first time, we want you to feel the same enthusiasm we feel when we pack it for you. Remember: " We don't stop playing cause we get old, we get old cause we stop playing ... so keep playing "
Since 1999 Guitars From Spain has been assisting guitar enthusiasts, students, and professionals worldwide in acquiring their dream guitar. It is our mission to listen to our clients' needs and concerns before suggesting what could be a perfect future guitar. Only years of experience and guitar playing help us give the correct advice to our clients. Please review our client testimonials. We are here for the long run; you can count on us. Generations and years of experience help the builder determine the quality of the woods and the specific hand craft methods to be used on each guitar. All tone woods are stored in huge warehouses for a lengthy drying period. All woods are selected for the sole process of guitar making in the exact same way, to insure that each instrument becomes an impeccable piece of art , a perfect soundboard with a soul. We go the extra mile to make every client a satisfied client. Our customer service is unwavering in our effort to provide 100% customer satisfaction. Our goal is to have thousands of happy clients. Your total satisfaction is our main commitment to you. “People don't care how much we know, until they know how much we care”. Hi Ed,The PS54 just arrived and it is very nice. Sure looks like a well made piece. I really like it. I practiced with it a bit I'm kind of a beginner and thought it was really nice. The finish, etc, almost looks too perfect. It's like a painting. Very nice to look at and the book matching is impressive. My instructor my guitar; really put it through its paces and said it sounded fabulous. I'm very happy with it. 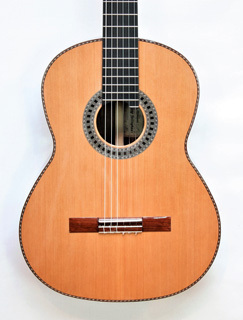 Senor EDUARDO, I have just received my Amalio Burguet 3M guitar in very excellent shape. Beautiful guitar with abeautiful sound. At age 76, this would be an excellent guitar for me to start my guitar lessons. Thanks for your OUTSTANDING SUPPORT and follow-up. 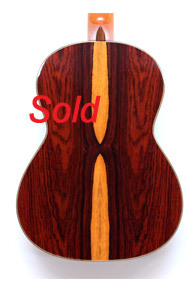 I would strongly recommend your store to anyone wanting to buy a guitar on-line. HONEST DEPENDABLE SERVICE. A VERY SATISFIED CUSTOMER. © 2013 Guitars From Spain. All Rights Reserved. .